Sutton Tennyson’s Killer turns himself in: Charged with murder. We reported some days ago about Angela Simmons’ ex-fiancé and father of her child death. Sutton Tennyson died at the age of 37 after he was shot and killed in Atlanta, GA. Police said they believe the shooting was a result of a heated argument, although the suspect fled the scene after firing the shots that killed Tennyson. However, Tennyson’s alleged killer has turned himself into authorities and he’s officially been charged with murder. Michael Williams, the man allegedly responsible for murdering Sutton Tennyson, has turned himself into Atlanta Police Department, TMZ reports. Williams has officially been charged for the alleged crimes which include murder, aggravated assault with a deadly weapon, and possession of a firearm during the commission of a felony. Williams lawyer, Jackie Patterson, confirmed the news that he turned himself into authorities earlier today. However, he said that his client has denied the accusations that he shot and killed Sutton. 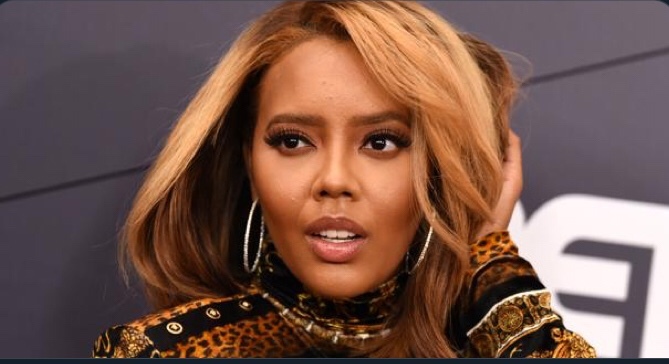 Shortly after Sutton’s murder, Angela Simmons’ took to Instagram to pen a short message about her ex-fiancé and the father of her children. “Thank you for leaving behind my greatest gift. I’m hurting. I’m numb. Thank you for the outpouring of love everyone. I can’t believe I’m even saying Rest In Peace Sutton. I promise to hold SJ down in every way I promise,” she wrote.